Web hosting can be roughly divided into three categories. Shared hosting, virtual private hosting (VPS) and dedicated server hosting. Shared hosting is with what many bloggers and website owners start. In shared hosting all the different users are on the same physical hardware. This results in a big drawback. Your site can only draw a limited amount of traffic because if the numbers exceed a maximum limit then other sites on the same hardware will start experiencing problems and hence your host servers will switch your website off. Hence site owners shift their site to one of the other two hostings when their site tends to get a lot of traffic. VPS hosting is used by many decent blogs. Although the servers are still shared by many users but you get a nice “slice” of the pie. If one site gets a lot of traffic then others won’t be affected much. The last one is the dedicated server hosting. Here you own your site on your own hardware and as such you are in complete control of your site and you don’t need to worry about any site termination problems arising from a traffic spike. The version of shared hosting with most restrictions and least disk space is usually free of cost. Others cost money. With the popularity of the Internet lots of web hosting companies have mushroomed online. Out of them we recommend you use Abdicar. Virtual Private Servers or VPS are also known as Virtual Dedicated Servers or VDS. The catch is in the word “Virtual”. Although the physical servers will still be shared by others but each server is divided in such a way that each has the appearance and capabilities of running on its own dedicated machine and each one can run its own complete operating system. Abdicar provides four types of VPS hostings. The cheapest one costs only 8$ per month. Obviously different plans have different features. See the image below for details. Are you already hosting on a VPS server but your visitors are complaining that your site takes a lot of time to load? Time to change hostings. You should shift to a dedicated host. Dedicated Server Hosting is “the big thing” when it comes to web hostings. As the name suggests you will get a machine dedicated only for your site. 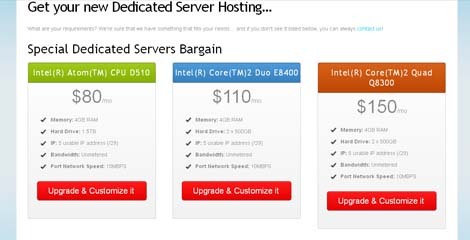 Abdicar provides you with six types of dedicated servers to choose from. See the two images below for details. Do you want to get rich? Who doesn’t? Abdicar provides a way for you to do so. Unlike most other affiliate programs, Abdicar’s hosting affiliate program pays you a 10% recurring commission on all the sales made. This means that if your site refers a client to Abdicar and he buys a $300 per month plan then you will keep getting $30 every month till the time he continues hosting with Abdicar! So go and take a look at Abdicar and let me know what you think in the comments below. I agree, the big difference will be the creation of the thumbnails via cronjob using ffmpeg directly on the server. Anyway thanks for the release, hope you can develope a new server-side version soon!